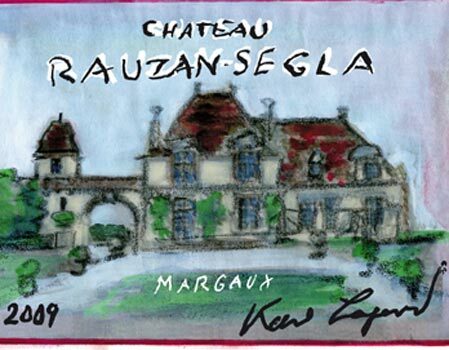 Château Rauzan-Ségla has unveiled a bespoke label for the 2009 vintage which, db can now confirm, has been designed by German fashion designer Karl Lagerfeld. In April, the drinks business broke news of the decision to launch a celebratory look for the château’s 350th birthday this year, and suggested that Lagerfeld would be designing the label, as he is creative director at the property’s owner, Chanel, which bought Rauzan-Ségla in 1994. As db reported, a Lagerfeld label would have immediate appeal in China, now the fastest-growing consumer of leather goods and jewellery worldwide, where Chanel is the second most lusted-after luxury brand behind Louis Vuitton. Lagerfeld is no stranger to designer drinks, having previously created a special look for LVMH’s Dom Pérignon. Released in February 2006, a Dom Pérignon 1998 special edition dubbed “A Bottle Named Desire” was presented in an individually numbered case, signed by Lagerfeld.